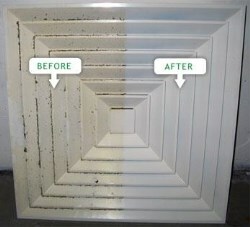 Do you want your ducts and vents cleaned by a professional company? 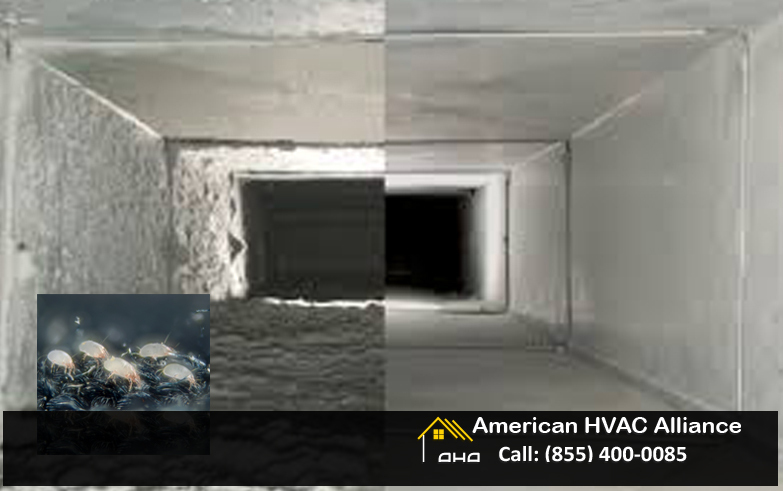 Air ducts and venting systems form an integral and important part of a heating and cooling appliance. Any damage or impairment in your duct work has a direct and immediate effect on the performance of your HVAC unit. But more than just causing poor efficiency, it can also directly affect your health. Air ducts and vents receive large volumes of air passing through. This means that even with clean filters there will still be small particles of dust and grime passing through. These small particles will stick together on the inside of the duct work and if left untreated will become a great breeding ground for all kinds of bugs and bacteria, spores and mold which can cause severe health issues. Duct loss is the term to describe what happens when you lose heat or cold air in your ducts. Duct loss can have several causes, but in most cases it's due either do dents or holes in your duct works or a system that hasn't been maintained in a very long time. Consequently, your system needs to cunsume more energy to get the same comfort levels (hot or cold), and of course your energy bills will also skyrocket. This can actually go unnoticed for several years, which is why the only way to prevent or deal with it is to have your system inspected at least once or twice a year. Our technicians are experienced in checking up a system for duct loss or similar issues. Not only is this way more healthy, but it is also more efficient and less costly! Just like your air duct system, your vents also have to deal with a large volume of air flow going through it on a daily basis. Particles that don't get stuck in the duct or come lose, often end up getting stuck on the vents. This has very detrimental effects of your health. Especially people who suffer from respiratory illnesses have a tendency to be very sensitive to the air quality. The outside of the venting system is easy to clean with a damp cloth, but the inside is somewhat more difficult. If you are looking for the right contractor to do the job and who will make sure your services are carried out the right way, we are the perfect fit for you! Before we start on any project, we always carry out a full inspection to know the situation. Once an assessment has been made, we will inform you of the cost and the materials we will need to use to clean your system. The effects are always immediate. As soon as your vents and air ducts have been sanitized you will notice an immediate improvement in the quality of the air in your home. NADCA (the National Air Duct Cleaners Association) estimates that a run of the mill property collects almost 40 lbs of dirt, dust and allergens in the duct system on an annual basis. The EPA (Environmental Protection Agency) also asserts that inddor air quality is often more contaminated than the air outside your home. (With the possible exception of major US cities excluded). It boggles the imagination when you consider that more than 40.000 dust mites can live in a single ounce of dirt. 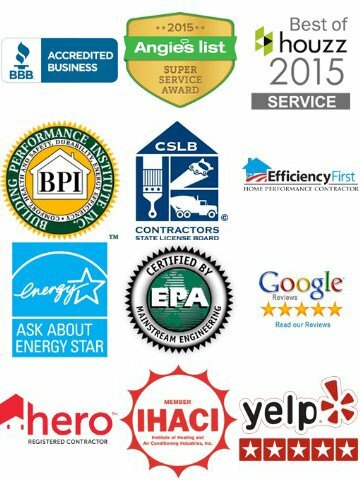 The only way to be sure of your indoor air quality is through an annual air duct cleaning regimen, performed by our professionals. Don't wait untill things start going wrong or your health goes South. Call one of our friendly phone operators and schedule your Tune Up today!